Migration watch; 17.30 - 20.00hrs. An ICTERINE WARBLER by the skate park on Castle Hill was the best of a small bunch of migrants seen throughout the day. Recorded between Long Nab and South Cliff were 3 Common Sandpiper, 1 juvenile Cuckoo (Long Nab), 1 Wheatear, 5 Lesser Whitethroat, 3 Whitethroat, 3 Blackcap, 4 Chiffchaff and 9 Willow Warbler. 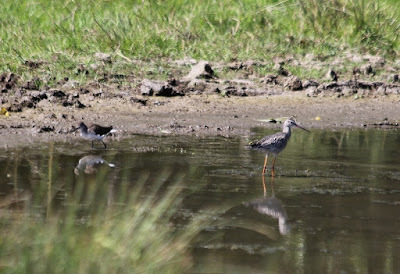 On the move during the afternoon (south unless stated) were 1 ringtail Hen Harrier at 15.40hrs, 2 Marsh Harrier, 1 Kestrel, 1 Ringed Plover, 1 Whimbrel, 1 Greenshank, 8 Black-headed Gull, 2 Lesser Black-backed Gull, 3 Swift, 5 Swallow, 2 House Martin, 2 Meadow Pipit and 34 Linnet. 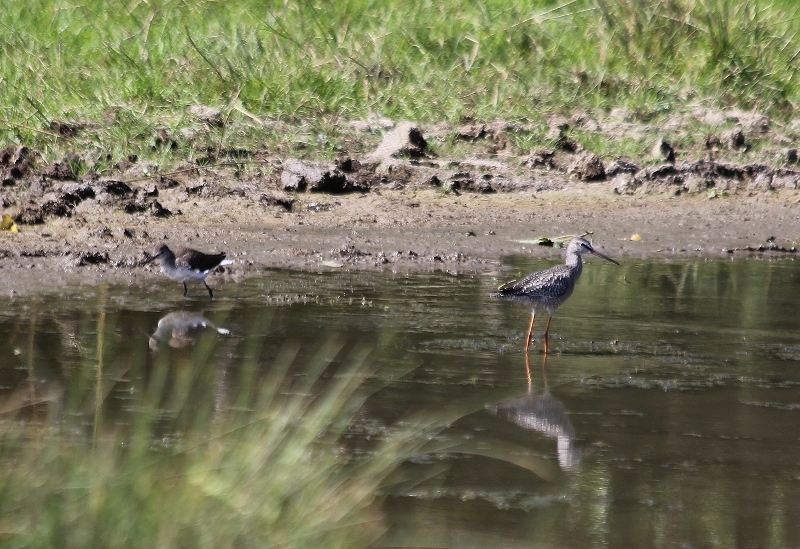 A Spotted Redshank was on Johnson's Marsh along with the Little Egret and 3 Green Sandpiper, a Little Egret, 9 Teal and 334 Greylag Geese were on Potter Brompton Carr (no general access) and 47 Grey Partridge were counted between Long Nab and Scalby Lodge.